Last week we looked at the first three components of a millionaire mindset: how to spend like a millionaire by living frugally, budget like a millionaire by putting essentials and savings first, and work like a millionaire by loving what you do and investing in your career. All three of these are vital habits for anyone wanting to build financial independence and lead a satisfying life. But the millionaire mindset doesn’t stop there. Here are three more aspects of it. 4. Fail like a millionaire. 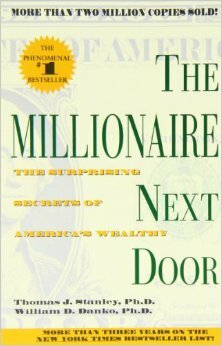 The classic book, The Millionaire Next Door, by Thomas J. Stanley and William D. Danko, points out a statistic that initially seems backwards. 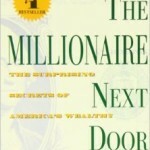 The average millionaire makes 3.1 major financial, career, or business mishaps in a lifetime. The average non-millionaire makes 1.6 such mistakes. My own observation is that those who succeed also learn from their failures. A millionaire mindset means being willing to take risks, but also being smart enough not to keep making the same mistakes. 5. Network like a millionaire. Those who succeed in starting businesses, building careers, and accumulating wealth aren’t afraid to ask for help. Millionaires know better than to rely solely on their own expertise. They are experts at building an expansive network of friends and acquaintances that they can turn to for help and advice. They understand that the more people you know, the more access you have to people you can learn from. This, of course, is only one aspect of networking. Contrary to the projections of “greed” and “selfishness” often thrust upon them by public opinion and the media, successful people are also generous in giving back. The millionaire mindset includes an awareness that no one becomes successful in a vacuum. Millionaires are typically quick to acknowledge those who have helped them. They tend to pay it forward by mentoring, helping others to succeed, and sharing both their money and their wisdom. 6. Think like a millionaire. Having a millionaire mindset does not mean having a life goal of being rich. Millionaires think of money as a tool, not a goal. They don’t value wealth for its own sake. In fact, for many successful people, becoming rich is almost incidental. Their primary focus is succeeding at work they are passionate about. A millionaire mindset is based on an attitude of gratitude, not one of entitlement. It includes the awareness that experiences and relationships are more valuable than things when it comes to creating sustainable happiness. If you are struggling to pay the bills on a meager income, overwhelmed by debt, or living in chronic financial chaos, it’s highly unlikely that you’ll feel fulfilled and satisfied with your life. Money is an essential tool in today’s world, and learning to use that tool wisely is as important as learning the skills required for your career. No matter what direction your life takes, developing a millionaire mindset will serve you well. It’s a crucial set of values to help you achieve your goals and realize your dreams.